Kelly Reider will guest host #mdeschat this Thursday, April 3rd at 9PM EST. She is the Coordinator for English Language Acquisition and the International Student Services Office for Anne Arundel County Public Schools in Maryland. Kelly is passionate about supporting schools in their efforts at meeting the needs of English learners. We sat down with her for a Q&A on current issues impacting the ESL field. This is the start of my 21st year in education. I have two teenage sons, an 8th grader and a high school senior! Our office is responsible for registering international students, screening students for English language services, writing curriculum, and providing professional development. In addition, we supervise English Language Acquisition teachers, conduct local and state language assessments, and coordinate interpretation and translation services. Prior to AACPS, I taught in Onslow County, North Carolina as well as Prince George’s County and Montgomery County, Maryland. I’ve been an ESL teacher, elementary classroom teacher, professional development specialist, and elementary assistant principal along the way. The English language acquisition field comes with a plethora of acronyms (ESOL, ESL, ELA, TESL, TSOL, ELL etc.). Can you clarify some of the terms and let our readers know which are politically correct? We certainly like our share of acronyms! ESOL and ESL are used pretty interchangeably. Both refer to instructional programs for English learners. When you add the “T”, this usually means “teachers” and refers to the professional groups. English language acquisition (ELA) and English language development (ELD) can refer to instructional programs, but they also refer to the field of research and science behind the process of acquiring/developing language. English learner (EL) is the most current term used to refer to the student. Many still use English language learner (ELL) as well. R-ELL/R-EL refer to “re-classified” students who have exited the instructional program and are monitored for two years. No English Proficiency (NEP) is a dated acronym that is not used very often these days. What is the role of the ELA teacher in your district? We have been working for the past two years to redefine the role of the ELA teacher. In the past, ELA (then ESOL for us) teachers functioned more as an instructional support. The ELA teacher is now expected to take on the role of a language acquisition teacher who has the primary responsibility of delivering and assessing the ELA approved curricula. ELA is a content area, just like science, math and language arts. Our ELA teachers are also expected to be language development experts who are a resource for the language development for ALL students. What are some of the challenges that a large district faces in meeting the needs of English language learners? Most school systems struggle with the allocation of staffing and other resources across a variety of programs and initiatives. As our English learner enrollment continues to grow quickly (approximately 40% over the past 4 years), we have not been able to maintain a student-teacher ratio that can meet the wide variety of educational needs of our students. We continuously work to improve our curricula and pedagogy to make the best use of every minute we have to teach students. Over the past year, our system has experienced a sizeable increase in the number of English learners enrolling with significantly interrupted formal education and limited native language literacy. The number of students over 16 years old enrolling as 9th graders has more than tripled in the past 4 years. Many of these students enter school with limited academic background. Many are arriving as unaccompanied minors who are also working to support themselves while attending school. Balancing the various needs of students, graduation requirements, mandated assessments, and the social-emotional arena can be quite overwhelming for schools. Equally important is the need to build every teacher’s capacity for providing the best instruction for English learners. Language development needs to take place all day, every day in order for us to close the academic language gap. Coordinating language development with the other district initiatives competing for teachers’ time and attention is an ongoing challenge. We are continually looking for new ways to provide professional development to as many teachers as possible. It is important that every teacher is prepared to differentiate for language and make content accessible to all students. What instructional tips do you have for classroom teachers with ELL students? Many teachers are uncomfortable with newcomers and feel helpless when the student does not understand any English. Just remember this is temporary. The most important thing is to include the students and insist that they remain engaged and involved. Language is developed through listening, speaking, reading, and writing. While students may need a bit of time to watch and take things in, it is important for the student to be engaged and active. Using visuals, providing organizers, restating in simplified language, and hands-on learning are all helpful. I encourage all teachers to use their English language acquisition teacher as a resource to review the students’ language proficiency data and discuss what are appropriate developmental expectations and goals. Is there one book you would suggest we read to better understand the important issues in English language acquisition? There are quite a few depending on the topic – cultural awareness, instruction, language development….. The best I’ve found for practical instruction is “Differentiating Instruction and Assessment for English Language Learners – A Guide for K-12 Teachers” by Shelley Fairbain and Stephaney Jones-Vo. This book looks at instruction by proficiency levels in a very practical way. Thanks, Kelly! We appreciate your efforts in supporting schools with their English learner needs. Kelly can be followed on Twitter @reiderkelly. 1. First you have to join. Obviously, joining Twitter is the first step towards expanding your personal/professional learning network (PLN). What’s not so obvious, however, is that “how” you start is also important. Don’t be an egg. Put a picture in your profile. Avatars are fine, but educators like to see the actual person they might follow, so take a deep breath and choose a picture you like. Tell us a little bit about yourself in your profile. Who are you? What are your passions? Why are you on Twitter? A good picture and a nice profile are enough for the average tweep (Twitter user) who’s trying to decide who to follow. Twitter is ultimately about having conversations. In order to have conversations, you have to follow people. One of the slightly annoying things about signing up for Twitter is that it automatically directs you to follow people. Bypass that part and follow people when you are ready. Most people start out following people they know. That’s natural because you already have a rapport and comfort level with people you know. The value of Twitter, however, is how it can connect you to people all over the world. A good goal for someone new to Twitter is to follow 100 people. Follow people who follow people you respect. It’s okay if you don’t know them. Also, follow people back. Your “follower” to “following” ratio should be close to 1:1. People who only follow back a small percentage of their followers aren’t truly interested in a conversation. There are some strange folks out there, however, so don’t feel obligated to follow back everyone. If you don’t tweet are you really on Twitter? Sure, Twitter can be used as a one way tool to gain information, but everyone has something they can share. If you aren’t ready to send an “original” tweet, then just retweet the stuff you like. The more you retweet, the more likely you are to meet new people. It’s like starting the first conversation at a cocktail party. Once you start tweeting regularly you’ll begin to see the value of Twitter as a learning tool. Twitter chats are amazing opportunities to learn from your PLN. Most folks who are new to Twitter will find chats to be a little overwhelming and fast-moving. Start out by lurking in a chat. Go under the hashtag (#) for any chat you’re interested in and just follow the conversation. Twitter helps you find your professional voice. By sharing your views, and listening to others, you begin to develop a coherent professional voice. You gain confidence in yourself and refine your views. Most of us work hard all day, but we rarely find the time to discuss our craft with others. Educators on Twitter are very supportive of their PLN colleagues. The greatest value of Twitter is that it broadens your professional knowledge for free! Who wouldn’t want to have access to some of the greatest minds in their profession? Go out and find them on Twitter. You won’t be disappointed. This is a guest blog by veteran educator, Deborah Wooleyhand. I was recently asked to cover a class at a local elementary school during state testing. The teacher I substituted for was administering the assessment to a student with one/one accommodations. I quickly agreed. How hard could it be? I was a kindergarten teacher for 18 years, so covering a class for a few hours would be no problem. I have been out of the classroom for 13 years. I forgot how children like to push the limit with a sub, even if you are married to the principal. I forgot how fast a 5 year old can move, even when his shoes are untied. I forgot how long it takes to get every shoe tied. I forgot their shoes don’t remain tied for very long, even when you double-knot them. I forgot that when one student wants a drink, suddenly the entire class is parched. There is a lot I forgot while sitting behind a desk at district headquarters. Children like routines and any disruption to their schedule matters. The reality is no matter how detailed the lesson plan is, it cannot possibly capture all the important facts about each student in the class and it can’t explain how each routine is carried out. So when the schedule changes to accommodate testing and staff members are pulled to assist with testing, it matters. Children have challenging behaviors, but they don’t mean to be challenging. The schedule is different and they are trying to cope. Children love and are protective of their teachers. They are happy to have a sub as long as they know their real teacher is okay and most importantly, coming back. As you can see, there is a lot I forgot during my 13 year absence from the classroom. Mostly, I forgot about the impact of decisions made in an office far from any school on the children in that school. Decisions are made about testing, curriculum, and instructional methods, but we need to be mindful of how those decisions impact the daily operation of the school and ultimately the classroom. We need to be reminded about the challenges teachers face on a daily basis as they juggle the demands of the curriculum with the needs of students and concerns of parents. If, like me, you have been away from the classroom for a while, I encourage you to re-connect with the schools in your district. Find a way to spend some meaningful time working with children in a classroom. No matter what your current role is, the experience will remind you of why you do what you do. I am sure that when you go to work the next day, you will have a renewed sense of purpose because you will have been reminded of how your position impacts the lives of children. That is something none of us should forget. Debbie Wooleyhand is an experienced pupil personnel worker for a large Maryland school district. She can be followed on Twitter @ppw78. Race to the Top-Equity and Opportunity? President Barack Obama recently announced a new initiative called Race to the Top-Equity and Opportunity. The aims of the program are admirable. The President wants to support states and districts in identifying and closing educational opportunity and achievement gaps (http://www.ed.gov/racetothetop-equity-opportunity). The President, like many politicians and educators, recognizes that we need to do more to ensure that all students have access to rigorous coursework, positive school climates, equitable discipline policies, and a clear, supportive road to college and career readiness. The President’s plan calls for $300 million in competitive grants for states that agree to enhance their data systems and develop comprehensive strategies to address achievement gaps. The states would have to use their funds to strengthen teaching and school leadership. The funds would also be used to attract and retain more effective teachers in high-need schools. Additionally, the plan requires states to utilize fair formulas for the distribution of funds to schools. So far, so good, although one could argue that incentivizing states is not the best way to reform schools. The competitive grant process also has its detractors. Will states rush to comply with the guidelines and begin implementing effective strategies to eliminate the achievement gap? If they learned any lesson from the original Race to the Top efforts, they may wait a while before jumping for the carrot. The President should be applauded for highlighting the need for creative solutions to eliminating the achievement gap. If his plan works it will lead to the creation of model programs that other states and districts can look to for solutions. Three hundred million dollars sounds like a solid investment towards that effort, but is it? When you realize that there are over 11 million school-age children living in poverty in the United States (2011, US Census Report), the investment begins to look a little light. The President’s proposal provides about $27.00 for every child living in poverty in the US. Of course, the President’s plan does not aim to help all children. It will only affect the children in states and districts that are willing to jump through a series of complex and rigid hoops. The states with savvy policy makers and skilled grant writers will be at a significant advantage. Meanwhile, the 11 million students living in poverty will see little or no change to their schools, at least not for some time. No one should scoff at a $300 million dollar investment in education. We should be grateful for every dollar that goes toward the future of our children. Yet, somehow we continue to underfund the most important aspect of American culture, our schools. How about a real effort toward strengthening our public community schools? Not just some, but all of them. While we are experimenting with plans like the President’s, what’s happening to the rest of our students? The President’s plan specifically mentions that no child should suffer because of their wealth, home language, or zip code. Unfortunately, his plan fails to address that goal for all students. It falls short because it won’t impact enough students in a timely manner. Twenty-seven dollars per child in poverty just won’t do that. Our students deserve better before it’s too late. 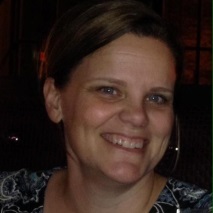 Erin Simpson, principal at Overlook Elementary in Wadsworth, Ohio, will serve as a guest host for #mdeschat on Thursday, March 6th at 9 p.m. ET. Erin is a 2012 National Distinguished Principal. She was nominated for the award by a fourth grade teacher who stated, “I have been in this building for 11 years and I have never had a principal who has had such a good rapport with kids. She brings the most out of every student and every teacher and every parent involved with the school.” We sat down with Erin to find out what’s happening in Ohio. I am a very proud mom to two elementary age daughters, a first grader and fourth grader. This is my ninth year as a building principal, sixth in my current building. Prior to becoming a principal in Wadsworth, I taught in a neighboring district for eight years. I live in the community in which I work and love the community pride in our school district. Every day I am very proud to be a Wadsworth Grizzly! You are a National Distinguished Principal. What was that experience like for you? Being named a Distinguished Elementary Principal by our State Association, OAESA, and a National Distinguished Principal by NAESP was humbling. The NDP celebration in Washington, D.C. was an amazing weekend to highlight our profession and I was so proud to be included with and meet all of the other honorees. I made connections that will last a lifetime and I was proud of the honors bestowed upon our profession. I truly believe every principal deserves to be honored in that manner. There are five elementary schools (K-4) in your district. What major instructional initiatives are going on there? Currently in our district we are transitioning in many areas. We have a new teacher and principal evaluation system in our state, OTES and OPES. We are implementing the Common Core while still tying in our previous standards because our state assessments have not yet changed. We have new report card indicators which have changed from a performance measure to a growth measure. We are also facing a new Third Grade Reading Guarantee in Ohio and are required to retain any third grader who does not achieve a set score on the spring reading Ohio Achievement Assessment. All of this makes for a very busy year and uncertainty in many areas. What are the biggest challenges you face on a day-to-day basis? My biggest challenges center around time. I love being in classrooms, in the cafeteria, on the playground, and greeting children as they arrive each day. These become priorities, so much of my other work takes place after school hours and I am not the best at balancing work and family time. Fortunately, I have a very supportive husband who is also an educator! The new evaluation system has placed demands on my time with timelines and summaries to complete. I love the conversations that have resulted from the new system, it is just a very time intensive process. From start to finish, observations take about 3 hours between the pre and post conferences, the observation, and the write up. Almost every morning is committed to a meeting of some type, yet I feel there are so many times we start a great conversation and then the bell rings at 8:55 a.m. and the conversation halts. I am always looking for ways to make this better. We are also facing large class sizes due to budget constraints over time and reductions in staff. This year my kindergarten classes have 30 students in them. First grade is the lowest with 24 in each and the others all range between 28-30. This is a challenge as we allocate resources and support and try to be sure that we have all our students on track so that we do not face the retention element from the Third Grade Guarantee. How has teaching changed since you entered the profession? The changes I have seen in teaching over my nine years in the role as principal are monumental. The pressures on our students and teachers alike have grown immensely. The inclusion and development of technology has advanced opportunities for students and teachers. I can only imagine what the future of education will hold for us in ten years. Teaching is much more focused on the individual student. I often tell my teachers that I could be a great teacher if I returned to the classroom because I have learned so many wonderful techniques and approaches from them. Can you describe the qualities you look for in a new teacher? Something that I always keep in mind as we interview and hire new teachers is that a critical piece is to hire good people because they will make great employees. I can always coach to improve instructional skills and strategies, but I can’t instill that spark or passion or love of children and commitment. I also believe that there has to be a right fit for the school and the new teacher. I look for the candidate who has the spark, energy and enthusiasm … the “it” I hear many people refer to. We have a very rigorous hiring process and truly find the best candidates. Since implementing the new process we have not had a bad hire. What is one book every educator should read? Wonder by R.J. Palacio should be read by every educator. This book will make an impact on how you approach your job and every child you are blessed to be in contact with. The theory to “Choose Kind” is one that our school has embraced and would make the world a better place if everyone embraced it as well. Thanks, Erin! We appreciate your involvement and commitment to the profession! Erin Simpson can be followed on Twitter @ehuthsimpson.